Use Internet Platforms That Were Designed For RVers and Campers to find cheap RV hookups. Don’t worry I never heard of RV hookups either until I bought my first RV, but…….. RV Hookups power the modern amenities of RV life. These crucial components of modern motorhomes are not exactly necessary, but they do make RV life more enjoyable. Allowing campers to enjoy the comforts of home while out on the road. Almost all modern motorhomes, campers, travel trailers & 5th wheels come with RV Hookups. So what exactly is an RV Hookup? Click here to skip down the page to the list of resources I use to find cheap RV hookups anywhere in America. 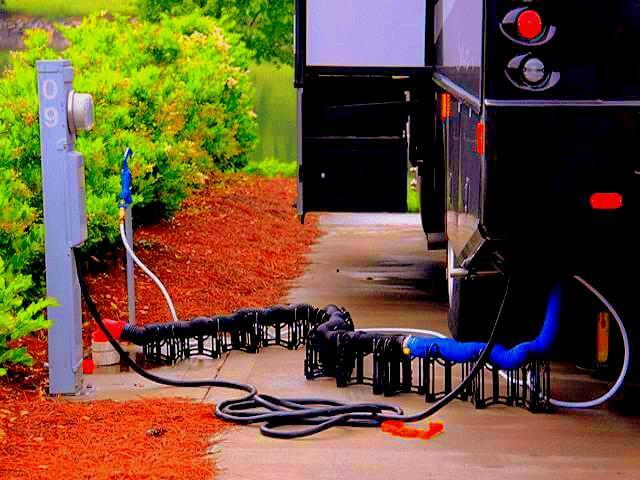 RV Hookups are the components that control the water and electrical functions of your camper. 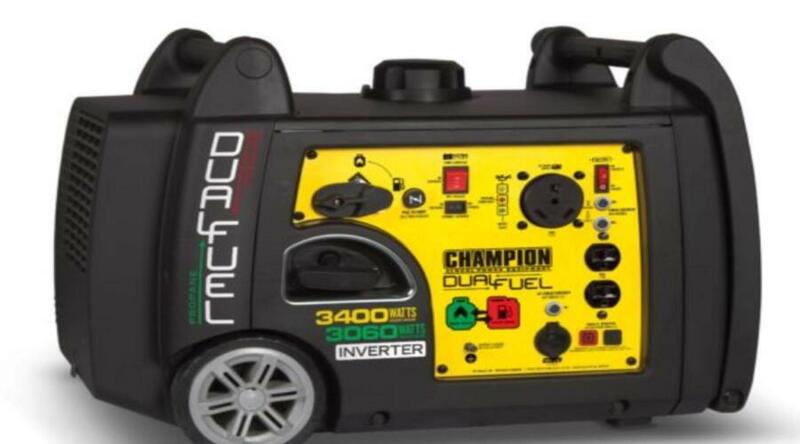 Allowing you to power up the electrical comforts of your motorhome, and utilize running water to take showers, use the bathroom or wash dishes as you would at home. And this is my best list of best resources to finding cheap RV hookups anywhere in America. If your motorhome isn’t already equipped with RV Hookups it’s most likely an older model. Meaning it would probably be cheaper to buy a modern camper versus paying to install RV Hookups in an older motorhome. Besides the initial cost of installing RV Hookups, which is factored into the overall price, the only fee associated with RV Hookups is the nightly fee an RV Park or campground will charge you. In today’s world thats usually around $50 a night. I’ve seen some campgrounds offer free RV Hookups or as little as $25/night, but I’ve also seen RV Parks that charge more than a $200/night. 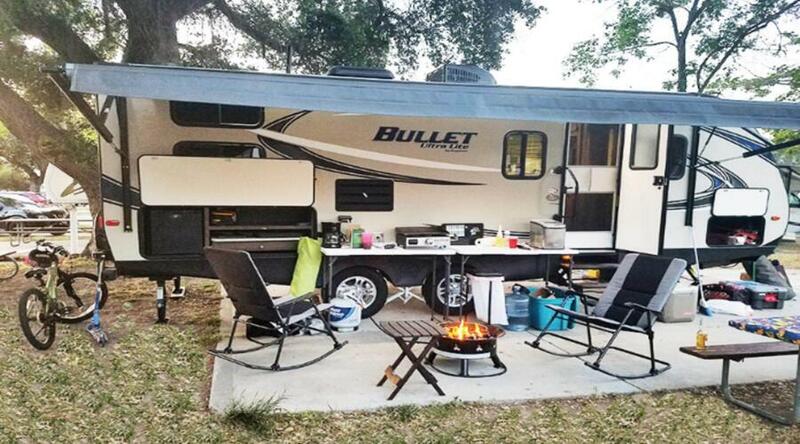 The average cost of RV Hookups at an RV Park or Campground in America is about $50-$65 a night, but expect to pay more at luxurious campgrounds. During peak season (June-August) rates could be even higher, but in the off-season (Nov-April) rates could be even lower. The average nightly RV hookup cost is around $50 a night at a developed campground or RV park, and its easier to find cheap RV hookups during the off season. One way to lower the cost of RV Hookups is to stay longer. Most RV Parks or campgrounds offer discounted weekly or monthly rates. The longer you stay the bigger the discount. There is no universal weekly campground or RV Park discount rate, but generally speaking most weekly rates include 2-3 free nights. For example, if the RV park normally charges $55/night that would be $385 for a 7-night stay. 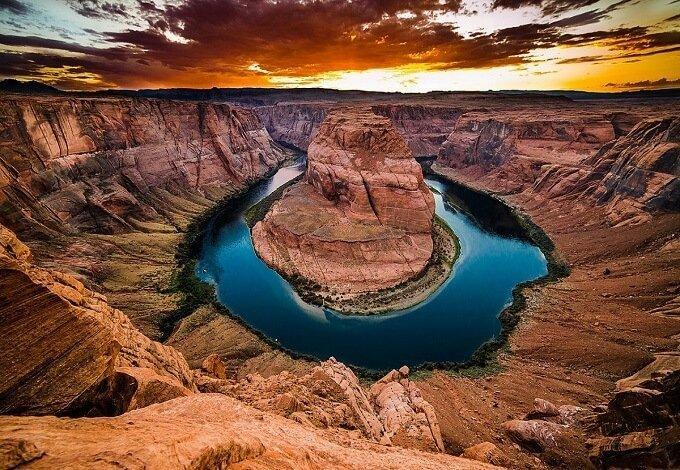 However, if you took advantage of their RV park weekly rate of only $250 you save $110. 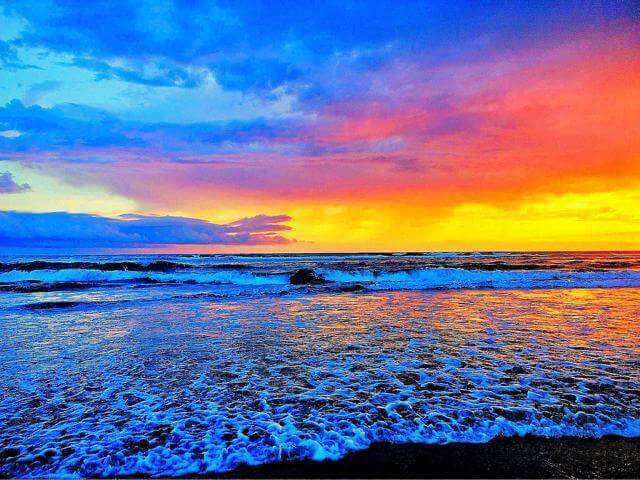 You can look at it as two free nights or a nightly rate of only $35. Either way, it saved you money, and this is how you find cheap RV hookups. To lower the cost of RV hookups you can get a membership through ThousandTrails & SAM GOODY to take advantage of group discount rates at participating campgrounds and RV Parks. Another way to drastically reduce the cost of nightly RV hookups without a membership fee is monthly rates. Almost every campground or RV Park in America has a monthly rate and in most cases is thousands of dollars cheaper than paying the nightly fee for 30 days. If you read my RV Buying Guide your jaw probably dropped when I wrote about two campgrounds I found in Wisconsin charging more than $9,000 a month for RV Hookups. Yeah, they included free jet ski rentals, private movie theater, bowling alley, activities director plus a bunch of other things I don’t remember right now. That’s more than I made in a year when I was backpacking around the world for the 3rd time. Most campgrounds & RV Parks monthly rates range between $400-$500. Some a are a bit higher and some are a bit lower, but if the average nightly fee is $55 you can save over $2,000 at most campgrounds through their monthly fee rates. And all you have to do is stay longer. 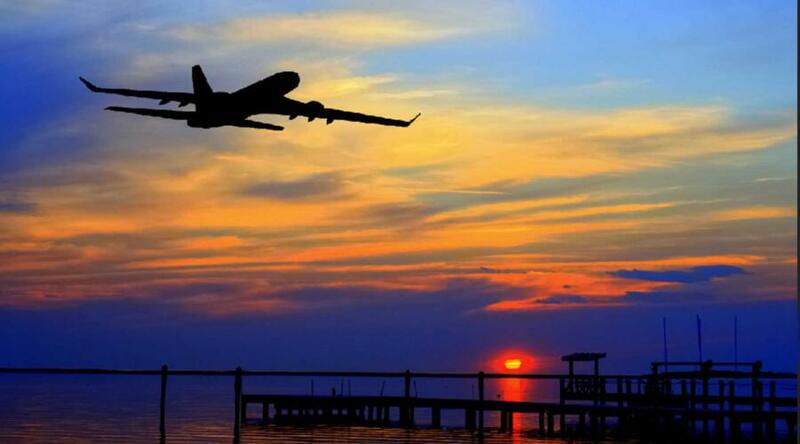 The number one rule in travel is– the slower you travel the more you see and the more you save. Especially if your traveling in a gas guzzling RV. Sometimes conventional doesn’t work or doesn’t give you the results you’re looking for. Thats a battle I struggle with on a daily basis from my years of longterm travel. Always thinking outside the box frustrates me when searching for solutions only to find restrictions. Sometimes this allows me to find uses for products or services that never intended to be used in the way I use them. The other day I got an email from one of you asking for help in finding Cheap RV Hookups. I’ve gotten this email a few times, and even more comments on my Find Cheap RV hookups for less than $200 a month article. I’ll admit I blew most people often assuming they didn’t read the actual article, but then after receiving this email I went back and read it myself. I realized I took a lot of liberties assuming you knew what I knew, and then wrapped it around a bunch of fluffy content that nobody wanted to read. So today I’m going to break it down step by step on how I find cheap RV hookups. Its been awhile since I’ve been to the Denver or San Francisco’s of the world, but if I was traveling in that direction there are two apps I would immediately open up. Trover – a remarkable travel app that doesn’t get the attention it deserves so it flies below the radar. Click this link Trover if you want to learn more about it. But to summarize Trover is a digital guidebook that will never be out of date because it’s populated with user submission & details as they travel around the globe. iOverlander is an app that was initially designed for off-road racers has evolved into a “boondockers” bible. I haven’t written a piece on it, but I intend very soon. IOverlander is a dated looking app in desperate need of a makeover, but the functionality is 2nd to none. This little app displays a list (or map view) of free camping options and the amenities they provide as well as cheap RV hookups. iOverlander provides GPS coordinates, date a user submitted the listing, brief description, photos, altitude & most importantly distance from where you’re located. iOverlander provides an endless array of free camping options along with some destinations that even provide free RV hookups, which is the main reason why I use this app. I use these two apps for a variety of reasons, but the main reasons are free boondocking destinations & things to do along my route. I’m a big fan of cheap RV hookups, but I will never turn down free RV hookups. They have other capabilities but these are the two reasons I use them for the most. Trover will show me cool waterfalls or places to eat along the way, and iOverlander will show me free camping options to along my route while I uncover new adventures. Its the perfect partnership. out their property to you. Here is a list of those internet platforms to find cheap private RV hookups. 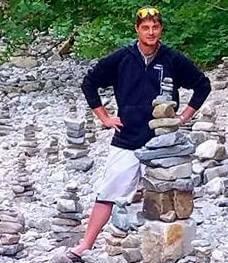 www.freecampsites.net was initially created as a hobby by a couple to log their destinations as they find them. A lot of work has gone into creating this website for us RVers, but it doesn’t show. The design is visually unappealing, but the information on this site is pure gold for finding private RV hookups on the cheap. 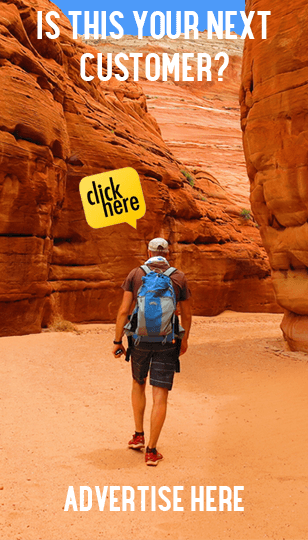 Like iOverlander, all listings are manually listed by trusted users or the site owners and provide a brief description, location, rating, distance & amenities. www.campendium.com is the modern version of Freecampsites. 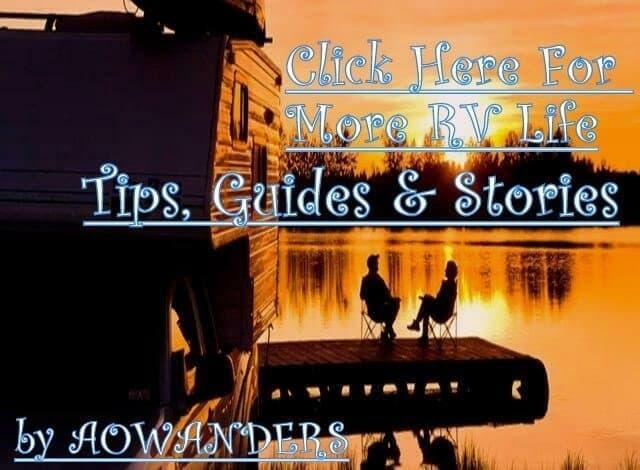 More polished & easier to navigate it’s a little easier to find private RV hookups. But it also has its limitations. With that said it doesn’t have a “Verizon like” coverage map, and I don’t expect it to grow either. The owner of this website is content with the way it is for now. All the listings I have used to rent private RV hookups have been accurate with their photos, descriptions, amenities & details. www.hipcamp.com If Hipcamp wouldn’t have contacted me a few years ago I would have never known they existed. Hipcamp is like AirBnB for campers. 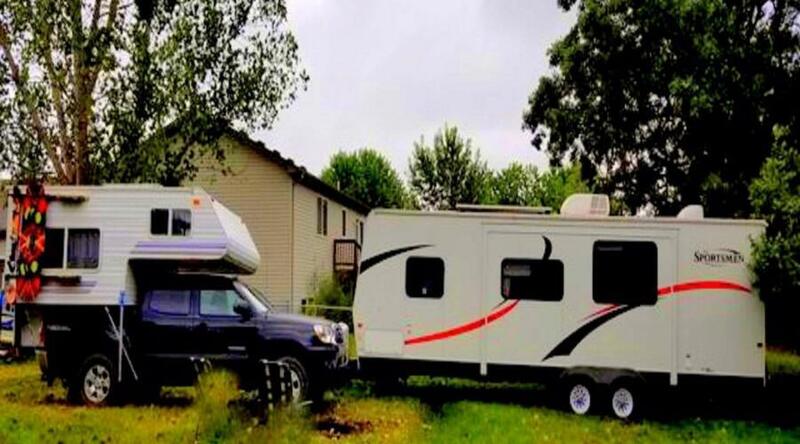 This platform is designed to let landowners rent out their private RV hookups to campers mainly for short-term solutions, but I have found a few hosts that have rented private RV hookups to me for a couple months at a time over the years. Its a relatively unknown new platform that has the potential to reinvent Campground & RV Park standards just like AirBnB has done to the hotel industry, but thats a few years or decades away. www.gamping.com is another one I have heard of but have never used, and it is exactly like Hipcamp. At some point, one of these two will become the top dog or they may even combine forces, but for now, they are relatively unknown. Which is perfect for you to take advantage of the situation. Since the demand & traffic are low landowners, while not desperate, are eager to lock in reservations for their private RV hookups. On Campendium or Freecampsites what you see is what you get. Location listings of landowners with cheap private RV hookups & what is offered at those discounted camping destination. Pretty simple. When I am browsing HipCamp or Gamping I am looking for a few things before emailing any private RV hookup listing. Size of land – Some of these listings believe or not are apartment buildings, condos or even houses in the suburbs. None of those are compatible with RV hookups or monthly stays. 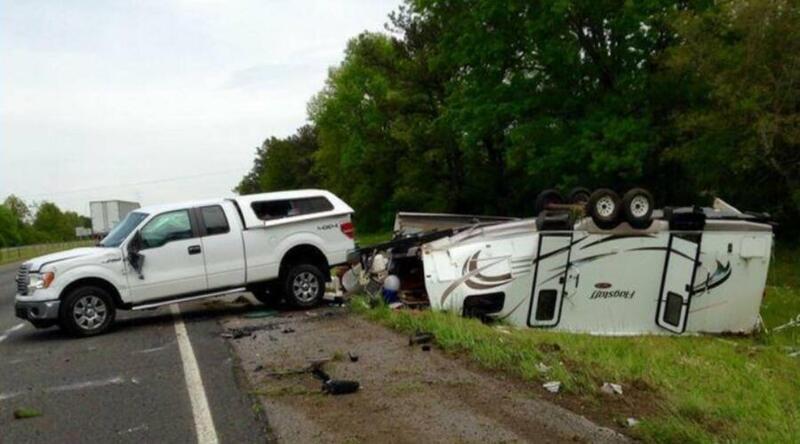 Sometimes it’s nice to stretch out and get out of your camper for a night, but when I am looking for longterm cheap rv hookups those are not my first choice situations. I prefer private RV hookup listings with large land plots, vacant land, farms, hunting land or even a tiny house community. 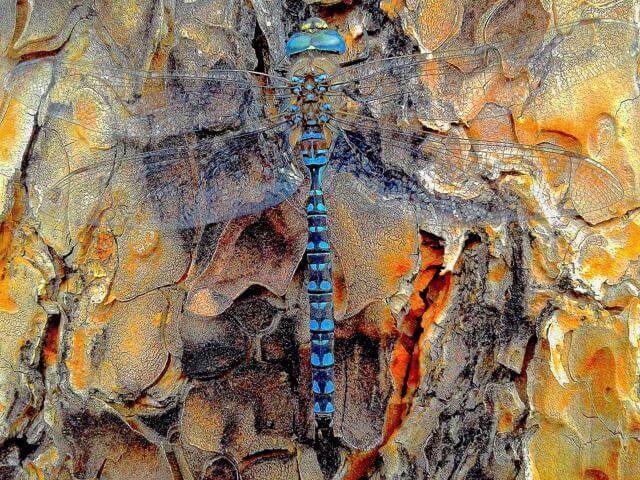 Things along that nature. Booking calendar availability – Another determining factor is availability. If a property listing already has reservations for 2 or 3 weekends of the month that host isn’t going to cancel three reservations to accommodate one reservation at a discounted rate for their private rv hookups. If the host’s availability calendar has 10 nights booked over the course of the month I want to be there they are not going to cancel on those existing reservations, and it’s a good sign that host has a desirable property. Meaning they probably aren’t going to entertain the idea of giving a drastic discount on a longer stay when they make more money on shorter stays from other people. Which I already know the answer to because you can’t make a reservation without seeing the dates available, and simply scrolling backwards tells me when the last time that private RV hookup was booked. If a host hasn’t had a booking in awhile they may be more receptive to a longterm reservation with guaranteed monthly income. These type of listings are my favorite to turn into cheap rv hookups. Be aware though if a property hasn’t been booked in a while ask yourself why? Is the rate too high? Bad reviews? Unsafe neighborhood? Undesirable property? Poor description? Bad photos? A lot of things can contribute to why a property hasn’t been booked in a while. Do your due diligence. Cheap rv hookups in a bad neighborhood or in the middle of a pig farm isn’t what I would call ideal. Nightly Rate – Sometimes you find the perfect property, but can’t cut a deal. Don’t worry. Peristence is the key to success when hunting for cheap RV hookups. Did you take into account the nightly rate? If they are charging $200 a night for their private RV hookups they are not going to agree to 30 days for only $200! I usually target property owners that have cheap rv hookup listings for $50 or less. The only time I make an exception to this rule is if they are renting out something quirky like a treehouse, tipi or RV!! Then I take a different approach to acquire cheap RV hookups by trying to sell them on “double dipping.” Meaning they can take two reservations for the same time period. Length on Site – I wish I could tell you new accounts are more receptive to long-term rentals, but its the opposite. New accounts haven’t dealt with changing the sheets 400 times a year or answering 800 emails a day about their cheap rv hookups only to see their listing go unbooked. The older the account the easier it is to persuade a property owner into a long-term agreement for their private RV hookups. Reputation/Reviews – When you deal face to face with travelers & people on vacation for a short duration of time it is next to impossible to get a bad review. 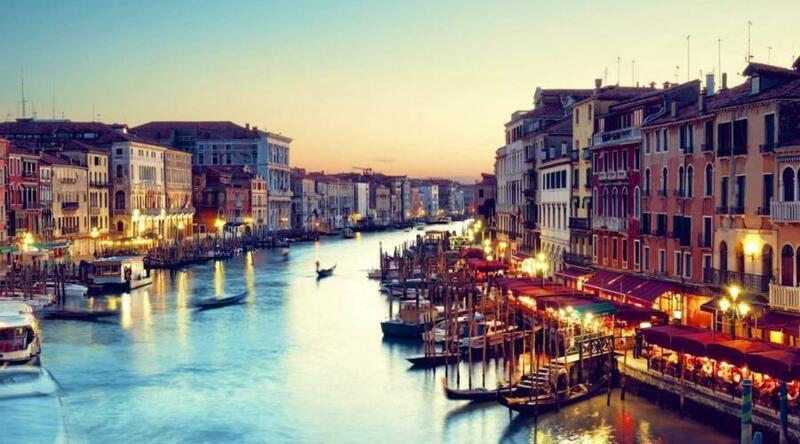 I worked in the restaurant industry in high volume iconic destinations around the globe for over 20 years. I know some people are just impossible, but in this type of setting you would literally need to be completely negligent or go out of your way to create a negative experience. So if a listing has a bad reputation or bad review scores I don’t even approach them. I am sure there is an angle to play to negotiate some cheap RV hookups with these hosts more than other hosts. I just don’t want to be in a situation that I might regret later because I wanted to save a couple of bucks on rv hookups. After analyzing all of this and emailing hosts back and forth I try to land somewhere in the neighborhood of $200 a month for my RV Hookups. I have paid as low as $50 month for RV hookups, and there have been a few times I’ve paid as much $400 a month for private RV hookups. But those times included a private waterfall, hot tub, pool & oceanfront private beach. All to myself. When hunting for cheap RV hookups put yourself in the property owners shoes. What would it take to convince you if the roles were reversed? apartments, houses. But anyone with a yard is fair game, and the best time to look for long-term arrangements off of AirBnB is the slow season ~ September to May ~ in the Northern part of the country. I have found great success emailing hosts looking for long-term spots with full RV hookups. What’s the worst they can say, No? It’s only an email. The best ones to email are ones in or near a high volume tourist town. Think Jackson Hole, Whitefish, Stillwater, Custer, Grand Marais, Bar Harbor etc etc. Any gateway town near a National Park or other tourist hotspot like Mount Rushmore. Refer to the six criteria I listed above to help you find an ideal host & property. Find listings that are renting out unconventional accommodations like campers/RVs, tree houses, tipi’s vacant land, sailboats, caves, etc etc. They tend to be more receptive to this type of arrangement. But just so you know I’ve also found discounted RV hookups in the backyards of suburbs of America from time to time. Airbnb listings don’t always have RV hookups, but you can find tons of private campsites to rent for as little as $5 a day. AirBnB is a popular “goto” for travelers nowadays so it’s not as easy as it used to be find cheap RV hookups or even private campsites when hosts were starving for reservations, but I regularly use Airbnb to find cheap RV hookups. Just be personable, honest, kind & transparent. Remember guaranteed income is better than theoretical income. Use that to your advantage. As an added bonus if you sign up using any one of the orange AirBnB links on this page you will get a $40 credit at checkout on your first listing. Meaning if you come to an agreement with AirBnB host to pay $200 a month AirBnB will only charge you $160 for that first booking when you sign up through my AirBnB links on this page. How cool is that? Instant $40 savings on your monthly RV hookups? Another favorite source of mine is facebook especially local groups for the area that I am looking to stay in. Every area nowadays has 3 groups. What these 3 pages are called on Facebook is anyone’s guess, but to find them I would do a search for the town or county in the Facebook search bar to try and find these three pages. After that, if I still hadn’t found them I would search for whatever the area nickname is. Still can’t find it? Find one of the less popular Facebook pages that only have a few members. Your looking for the group that has thousands of members, but sometimes you have to join the group with less than a 100 to find the main vein of the area. job/helpwanted/forsale/ Facebook local group page. Someone will give it to you. Everyone wants to be a hero. Someone will help you out I promise. Once you find the main Facebook group for the area make a simple post selling something trivial or nonexistent. Give it a day and then mark the item as “sold”. You have to do this because some of these groups are fickle & temperamental. If you come into the group posting I’m looking for a spot to rent for your RV you might get booted & blocked. Abide by the rules. Make a meaningless post that shows your willing to do so. It’s the easiest way to make it off the “Nazi” admin’s radar, and it also lets them know your not a scammer. After that make a post saying something along the lines. Who can use an extra $200 month? Or there has to be someone in the area that could use some extra money this month? Or something along those lines. Everyone needs money you will get more responses than you can deal with. I usually respond with a few vague replies throughout the day to keep bumping it to the top without actually divulging that I am looking for an cheap RV hookups. Then after it has been sitting for a day and there are enough comments I start responding to everyone. Giving details of what I am looking for and what I am willing to pay. Remember most people associate the term RV hookups with a stand alone outlet box with its own meter and buried septic tank. You don’t need either of those. Cheap RV hookups are nothing more than an outlet you can run an extension cord to, and an outdoor faucet you can hook a hose up to. You don’t even need a sewer line to connect to because you can call a local septic company that will drive to your location and pump out your tanks into their truck! 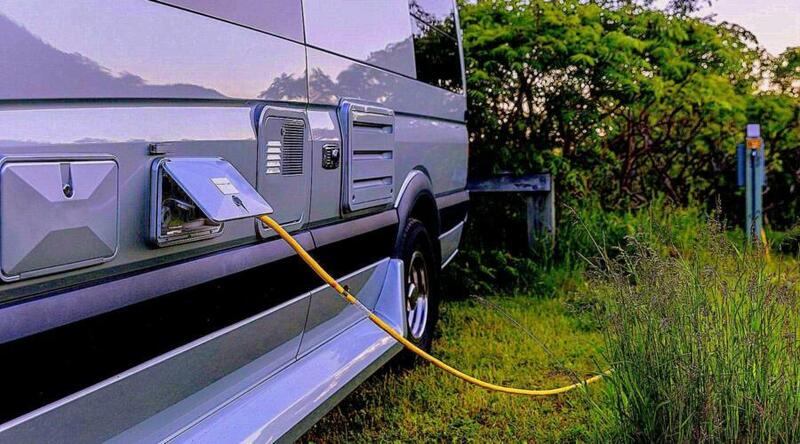 All you need for cheap RV hookups is an RV parking spot that is close enough to reach utilities with an extension cord and a garden hose. Facebook has been pure gold for me the last few years. No listings to sort through, no commission to be paid to the website owner for bookings. No verification protocols. Simple easy transactions between both parties made in person. Just like in the old days. Through Facebook, I have found thousands of cool places to park my RV with full RV hookups. Some have been offered for free or in exchange for some type of easy chore. I usually never pay more than $250 for my monthly RV Hookups, and I even stayed for two months in Mesa Arizona one winter for only $100. Facebook has been wonderful to me, and I can not recommend this method enough to find cheap RV hookups. Between Facebook & AirBnB I’ve been living full time in my RV around the United States for less than $3,000 a year. As a consequence I am also a member to over 1,000 FB groups. Talk about an active news feed! Another good resource that sometimes takes a little more effort is RV Facebook groups. These aren’t groups dedicated to a specific area or destination. These groups more focused on the big picture of RVLife. Everyone there wants to be a hero and come to your rescue, but some of them are batshit crazy. I kid you not. Seriously, padded room crazy, but a wonderful resource for new & old RV owners. You will find answers on how to winterize your RV all the way to the weight of a popup camper. If you have a question concerning RV’s one of these groups has the answer, and I am a member of all of these groups so stop by and say “Hi”. Or leave a comment below. But I have used these groups on more than one occasion to find cheap RV hookups. 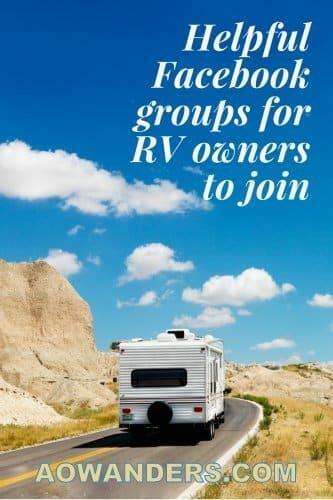 List of the more popular RV Facebook groups to find Cheap RV Hookups. Another great resource I have been starting to use a lot lately is real estate agents to find Cheap RV Hookups. Go to the local real estate office and ask for a list of vacant land owner properties especially for out of state landowners. You can also find vacant land options off of Craigslist under the real estate for sale section. Alot of vacant land listings in the Pacific Northwest have private RV hookups that were meant to be temporary. Most likely so landowners could have a place to stay while building their dream home. Whatever the reason I have found some amazing RV hookups on vacant land all over Montana, Idaho, Wyoming, Washington & Oregon. It is best to get a direct email to the landowner. Because sometimes real estate agents don’t relay your request to landowners because they don’t make commission of off rental deals. A bonus to finding cheap RV hookups using this method is finding full RV hookups in the middle of nowhere with no demand. Having the landowners contact information ensures you have access to these secret RV hookups whenever your in the area. I have a list of over 500 private and secret cheap RV hookups all over the country. Maybe someday I’ll reach out to each landowner and see if they will let me publish that list. I found the best success by inquiring about owner financing listings, or contract for deed listings. These landowners are publicly displaying they are willing to work with people to sell their land. I’ve gotten very creative with this and landed some true gems. I have never paid more than $150 a month. Even had one landowner offer to let me stay for free as a caretaker. To ensure people weren’t hunting on his land. Whatever works, right? Remember this is just vacant land that nobody is using so negotiations aren’t that tough. I offered to pay the property tax for a year to one landowner, but before I made that offered I looked it up to see it was only $81. 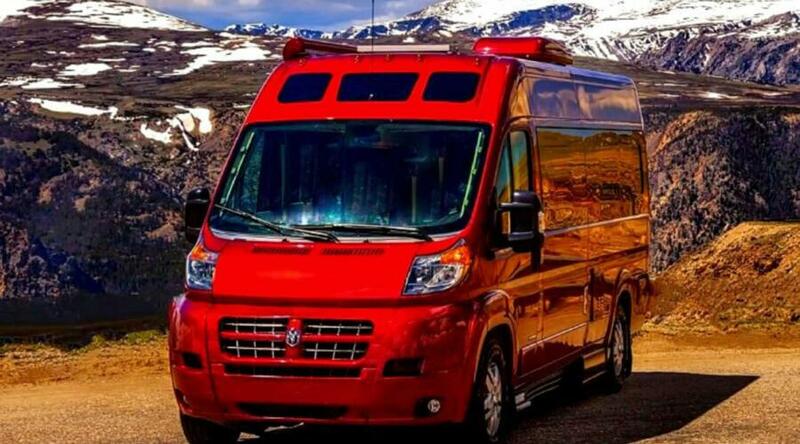 Five months of RV hookups for only $81? Thats cheap RV hookups! Sound like a deal to you? ny campground or RV Park. Which is why I never stay at a campground or RV park. I would rather spend the night in a truck stop parking lot then spending my money on an overpriced campground. 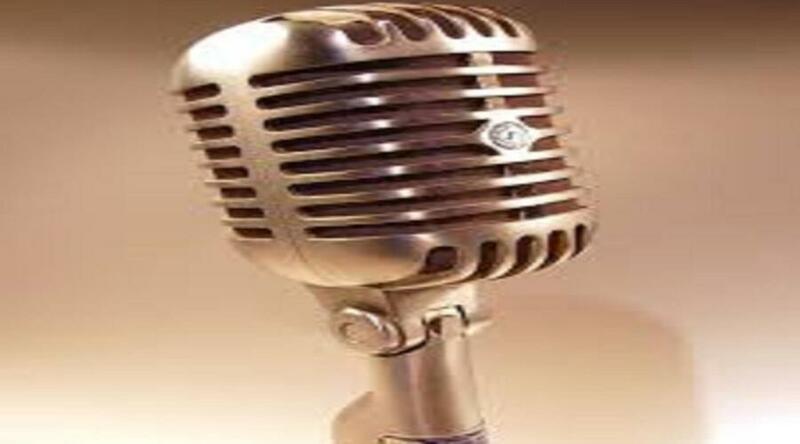 If you have a way thats successful for you to find RV hookups I am sure we would all like to hear about it. Let us know in the comments below. Also, anything that is orange on this site is most likely clickable. And made clickable to help you find more information on a particular topic. Or you can use the search bar in the upper right hand corner to find other related articles. Still can’t find what you’re looking for? Send me an email, or leave it in the comments below. If I don’t know the answer I’ll find it for you. If you want to see more articles on RVLife Click this link, and it will take you to my RV Life category. I am also thinking about playing with a new slogan for the site. 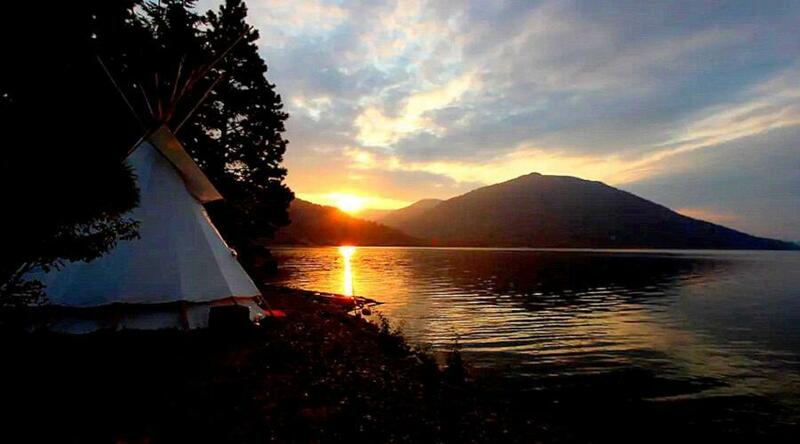 What do you think of, “Let your mind wander and your brain wonder.” Happy RVing everyone! Hi Adam. My name is Sharon. I need help n i hope u can help me w this. My man n i just bought a 5th wheel for the first time to live in long term while we get back on our feet. Its an 85 Prowler in great condition but now i cant find a place to park it. None of the rv or mobile home parks will take it. Ive had to put on the street for now n last night i got a tow away slip. I’m still new to the Reno/Sparks area n dont know anyone out here n now we just bought this n cant do anything w it. Theyre threatening to haul tomorrow. I wish i came across your site sooner. Ive been trying to see how to find people willing to rent a spot on their land or a vacant lot n now I’m out of time. I really need help. I got the stuff written down to search. But i dont have enough time to do this thoroughly. Do u have any names of people.whoi can get from u? I dont have much money but am willing to pay monthly. Willing to help w chores or whatever. My man has a full time job in Reno. Need ASAP for a few months give or take . We r working towards getting into Real Estate n flipping houses as soon as able to get some stability. I’m so frustrated with this situation. We didnt know about the thing about older rvs. We were told some places wont take yours not that its impossible. We have been staying w mom in law n she can lose her place for helping us n we dont want that to happen but we dont want to end up on street. We’re too old for this. We have an 11yr old son that comes on weekends. Its a 24 ft. Would like to stay not too far from town due to one vehicle at the moment. Housing is such an issue these days n we need help. Is there anything u can suggest or anyone for that matter. Thank you. Thanks for visiting my travel blog, and reaching out to me with your difficult situation. I don’t have an exact pinpoint answer for you and your 5th wheel because whenever I am in Reno area I always stay around Lake Tahoe. More scenic and I know I can stay for free at any of the Ski resorts. Have you checked out my free camping guide? Probably more temporary solution ideas in there, but it could buy you some time until you can find a more permanent solution. If I were in your situation without knowing anyone, and unable to find a quick destination for my 5th Wheel I would explore the casinos of Reno. Most casinos are pretty accommodating to RVers. You could move it from casino to casino while you look for a more permanent destination. One night here, couple nights there, another here, etc etc. Some casinos have full RV hookups, and welcome RVers. I found a casino in Oklahome that offers FREE RV Hookups, but you could only stay for 2 nights. The Monte Blue in South Lake Tahoe allows RVs to stay for up to 7 nights free before they need to relocate. I am not well versed in the RV casino rules there in Reno, but they are usually pretty relaxed and inviting towards RVers. If you can get out of the city just a little bit Reno is surrounded by BLM land & National Forest which is pretty much a free for all for RVers. You won’t find any free hookups or all you can eat buffets, but you won’t get a bill or a tow away slip. California is also home too SNOPARKS which are designated areas that you can purchase a 6 month SNOPARK pass that allows you to park your RV for as long as you want from Nov-May. I stayed in South Lake Tahoe for $25 for an entire ski season once. I didn’t have hookups, but there was a bathroom at the far end of the parking lot and I just ran my generator when needed. Pretty much worked out to about $40 a month rent when you factor in generator gas. 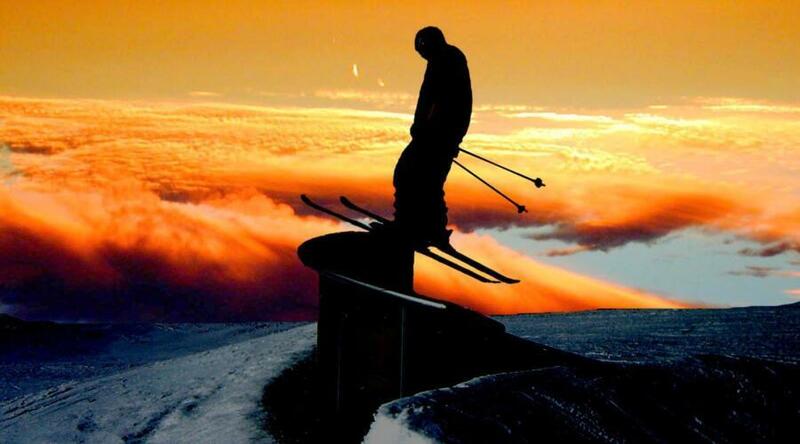 Follow this link to find out more about SNOPARK passes & locations. 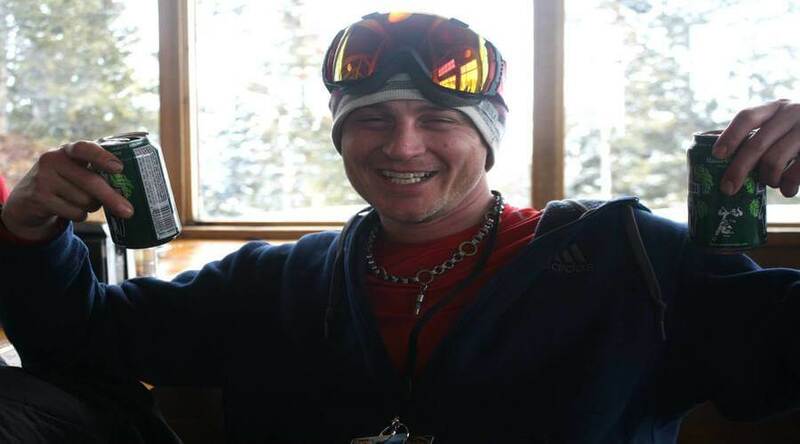 If your read my free camping guide you’ll find out my favorite RV destinations are ski resorts. Mainly because they are free, but also because of the vibe, culture and atmosphere they provide. This time of year they are gearing up for their season, but not quite open. So if there is anybody up there they are not focused on enforcing parking rules. Which could work out to your benefit. During peak season most ski resorts have a 3 day or 7 day rule for RV overnight parking, but preseason and off season its not on anyone’s radar. I’ve stayed at places for two months before anyone said anything, but I’ve also heard of people getting asked to leave after a couple weeks. I just left McCall Idaho, home to two ski resorts, where I just spent the last 40 days at a ski resort for free. A ski resort parking lot probably isn’t at the top of your list, but it could be a temporary RV destination until you can find a better solution. Between the casinos & the ski resorts you should be able to move it around free of charge for a couple of months. After that if you still need a place to put it, and don’t want to live out of it during the winter months. Hop over to California. Buy a $25 SNOPARK pass and then just park it there. Cheaper than a storage locker and legit! When it comes to RV Life the more creative you are the more rewarding it will be. This current road trip I am on has taught me that. I have talked with so many truck camper owners who spent months if not years looking for a truck camper to fit their vehicle. I was heading down that path as well until I finally took matters into my own hands. Jump over to my article that shows people how to make any truck camper fit any truck bed, or follow this link to find out how I saved thousands of dollars on truck camper tie downs. When it comes to RV life the more creative you are the more rewarding it will be. I wish I could give you a phone number or an address, but I don’t spend a lot of time in the Reno area. It will work out I promise. It always does. Persistance is the key to success. Keep looking, keep calling, keep emailing. Move your 5th wheel to a temporary destination until you can solved this frustrating riddle. Post in the facebook groups I mentioned in this article. You’ll find something just might have to dig a little deeper. And when you do come back and let us know it might help someone else in your situation. Thanks for reaching out to me. I will try to help you out best I can, but I think google is your best bet here. I actually just watched a documentary on the housing crisis there in Cisco. If I were in your position here is what I would do. I would find every facebook group there is for the bay area and apply to join. Than I would make a post offering whatever you think you can afford monthly for a parking spot. Saying you don’t need hookups. ALl you need is an electrical outlet and a faucet. (Because you can call a septic company to come pump out your holding tanks for $25-$40 so you don’t need sewer). Than I would make a posting on craigslist stating the same thing. Post it in the barter section. The community section. The room mated wanted and shared housing section. After that I would contact every craigslist vacant land listing and see if they would be interested in renting out a parking spot to me. Then I would contact every real estate agent offering the same thing. Then I would contact every RV park, mobile home park, campground to see what there rates are. I would also call every motel/hotel that offers a weekly rate and see if they would rent me out a parking space in their parking lot with the option of rnning an extension cord and a hose and again calling for a pump out service when needed. While I was doing all of this I would recon the area for big parking lots that I could urban boondock in incase I struck out. Places like walmart, hospitals, health clubs, strip malls, hotels. Find 6-8 or 10-15 that you can rotate through every 7-10 days. After all that if I still hadn’t found a place I would sign up through Airbnb through my site because you get $40 off your first bookings total. Airbnb has campground, hookups and campsite specific listings. You have adjust the filters to find them, and I don’t even know if there are any listings in the San Fran area but airbnb does have them in some spots. Then I would reach out to airbnb owners and see what you can find. And remember you get a free $40 if you sign up through me. So if they agree to $300 a month well your first month would only be $260. If i still hadn’t found anything California has a wonderful SNOpark pass. Im not sure if there are any close to you, but if there are for only $25 you can have a place to park your trailer for 6 months. No hookups. No water, no electricity. Possible a national forest outdoor bathroom with no water might be on site but that is it. I did that for 6 months in Lake Tahoe. Do the math its just over $4 a month. Puuuurty cheap. I’ve run into that “it needs to be 10 years or newer thing” in the past too. Just have to be persistent. There is an RV park out there that doesn’t care and just wants your money. And some of them don’t even enforce it. Just going to have to get on the phone. Some places are hard to find a spot and from what I gather San Fran would not be an easy one call battle right now for finding cheap RV hookups. Might take you a couple of weeks, but keep that in mind when you do come across a place that is less than ideal. Less than ideal is better than nothing. Let me know if you find anything or have any other questions.